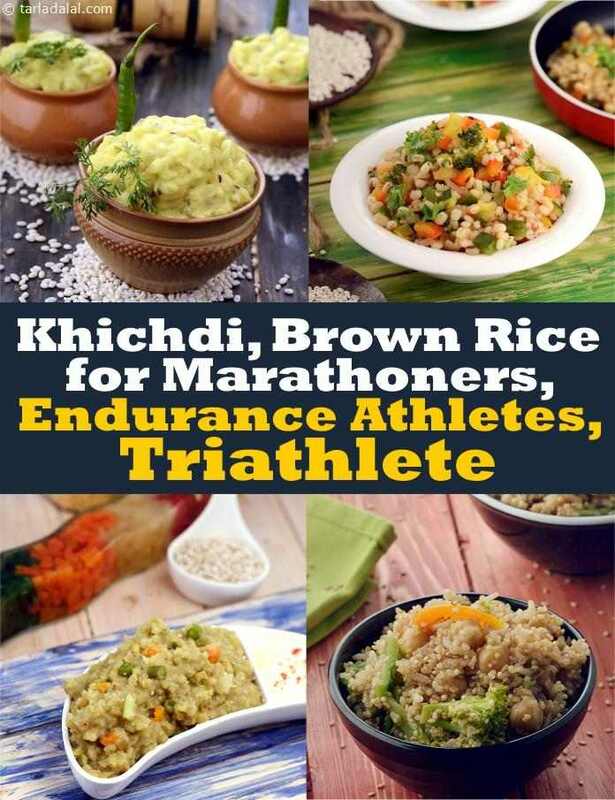 We have used Barley extensively in all our khichadi recipes here as they are whole grain and good for endurance athletes. Barely is high in fibre, Niacin (good for women with high blood pressure) and a good source of magnesium. Having Barely regulates the bloods sugar levels and hence speeds up fat burning. Our favourite recipes are Barely Moong Dal Khcihadi and Buckwheat Moong Veg Khichdi. We have removed the use of rice in khichadi as it slows down the fat burning process and pushes up your insulin. It has been substituted with Brown Rice in Quinoa, Brown Rice and Veg Salad. Enjoy these variations and have healthier meals.